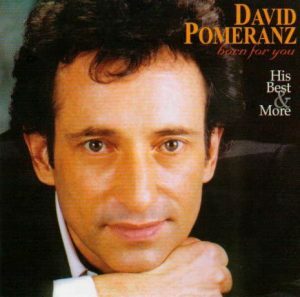 David Pomeranz’s multi-platinum selling songs, recordings and concert performances have delighted and inspired millions all over the world. He has written hit songs for the likes of Barry Manilow, Bette Midler, Kenny Rogers, Richie Sambora of Bon Jovi and scores of others. David was interviewed, via telephone, from his home in Clearwater, Florida on Feb. 7, 2004, by Artists For A Better World International (AFABW) President, George Alger. AFABW: David, any advice you have for artists, of any genre, who wish to create a better world through aesthetics? DAVID: Create from the place that is really big and encompassing and spiritual and beautiful. Write from the “you” that you really are, as much as possible. I know I risk sounding like some kind of cockamamie “New Age” guy when I talk like this. But really – I’ve found to really make a better world – one which is mired in complexity, losses, sadness, anger, apathy and worse, “you”, as the artist, need to stand there as the world, and communicate as the full-blown God-like person that you are and most have forgotten they are. We are spiritual beings and it’s something the Media doesn’t usually like to promote. Why not create from that place that is natural. It’s not natural to be cynical. Television and Newspapers pump tons of glib, jaded, flip, “been-there-done-that”, “seen-it-all-before” viewpoints into our homes. Some of it might be entertaining, but it doesn’t make the world better. It’s just more part of the “problem” instead of the “solution”. In my opinion, an artist’s job is to be part of the solution! That doesn’t mean that you have to write only about “great”, lofty ideas. You could write about burnt toast or coconut ice cream. But you just do it from this loving beingness that you are. People are basically good: bright and playful and kind and appreciative of beautiful things. We are extraordinarily powerful and vital creations. For thousands of years the major religions have been telling us we are made in God’s image. Well, that ‘s us – made in God’s image, so why not get on with it. AFABW: What role do you believe the artist has in the world today? DAVID: Two things. First, to keep the spirits high so that “hope” is the prevailing view, and not death. When hope is the prevailing view, other work can be done, such as the nuts and bolts of administering the work of this world and improving it – things like handling World Hunger, preserving and improving the environment, knocking out Psychiatry and the rest. In our current world, the Media is sounding the death knell for civilization. People get inundated with the view that the world is a dangerous place and inadvertently perpetuate it. It is the artist who presents another view so people can realize that there is hope – and with this view, he can really cure things. The other thing I think it is incumbent on every artist is to become a celebrity in their field and set a good example. If you can leave a person feeling bigger and better – even just by having had coffee with them – leave that person remembering that they are extraordinary in some way, then the artist has done his job. AFABW: Should a songwriter consider commercial potential or ignore it while creating music? DAVID: Commerciality just means that the art is liked and wanted by others. If the writer is really proud of what he’s done and knows something about writing (having the experience to know when a song is rambling or boring or if a musical line is too complex to be remembered, etc. ), if he writes about true things in a unique and honest way, chances are, the listener will respond. The technology of art is only there to help in communicating to the recipient. When you write a good song and you get your message out to a lot of people, what you get back is money, which makes it commercial. Writing, to me, is a simple affair – not unlike a kid sharing a little truck or a rock with their parents. If it is honest, emotional, or funny, or clever – if it’s fresh, if it grabs your attention – it will connect with people. It will relate to people. It’s all communication. It’s from “me” to “you”. It’s a beautiful process. AFABW: David, as a songwriter, what inspires the direction your music takes? DAVID: Writing for me is often from inspiration. This includes how I personally feel about life, love, politics, or whatever. Another kind of writing is on “assignment.” I have been doing a lot of work for the Theater recently. There, I get a chance to write Music or Lyrics for a character in some dramatic context. It’s not me, directly, but I still have to find enough that’s true to me and particular to my view. Otherwise, like any art, it’ll come off phony and contrived. Even on assignment, even if I’m writing as a villain, there’s got to be a big chunk of me in it. For me, I pay a bigger personal price when I write from my “heart.” But ideally, you want to move people: to tears, to laughter, to action, to love. You want people to listen to your song and feel they are better for it – that it was a worthwhile 3 ½ minutes spent. It doesn’t necessarily have to be deep. But it has to contribute some life to that listener. AFABW: Any advice for an artist trying to make his or her way into the music world? DAVID: Know who you’re friends are and who are not your friends. There is a study course I took in Scientology where I trained myself to observe people who I can trust and who I would be foolish to trust. It has protected me a lot and short-circuited a lot of grief I used to have all the time. Be careful of advice you get from people. Consider the person giving the advice: Is this person a “friend” that is giving you the advice that makes you feel less certain or uncertain of yourself? Or, is it advice meant to inspire you? Is this someone who seeks out the best points about your art? Who might also say “tighten this up” or “expand this”? In other words, is this someone who is REALLY trying to help? It is vital that an artist know the difference. This could even mean the difference between carrying on and giving up as an artist. It’s life and death to know who your friends are. I recommend the courses in Scientology that deal with this because they really helped me. There is a formula that the founder of Scientology, L. Ron Hubbard, observed. It’s called the “Non-Existence Formula” (Point #3 is: “Discover what is needed and wanted”). If one does this, it instantly puts one in the game. Instead of trying to get people to take your project or product, you find out what they need and want from you. Giving them what is needed and wanted is the most important thing. Oh, and be professional. Always do a good job – a real good job. Always deliver better than expected. That word gets around quickly, whether it’s good or bad. AFABW: David, as a multi-platinum singer/songwriter, and a tireless advocate of social betterment through your many benefit concerts for good causes around the globe, you are a model of using aesthetics to create a better world. Have you always been interested in helping to improve conditions in society? DAVID: Thanks for saying that. Yea sure! Ever since as a little baby, I would blow out candles on my Birthday cake and wish that everyone in the world would be happy. I have always wanted to be useful. My biggest goal as an artist is to be useful. AFABW: Your song-writing and recording successes have contributed to the influence you have in supporting groups that are creating positive change in the world. How do you resolve where to lend your name and support? DAVID: We are all so busy. We have family and work and things we want to do. I hand pick the organization and the people involved and find out what are their true intentions. I like to work with organizations that get results and not just talk about it. There is one group called “Results Educational Fund.” They lobby for hunger-related issues around the world. They find out true data: “This is what it will take to feed Somalia.” “This amount of money.” “It’s needed at this time.” They get bills passed. They get things done. I look carefully at the individuals in the organization. Individuals can sometimes get mired in the complexity of their own field as well as its politics. I look for people who are dynamic and get the job done anyway. I look for people who are naturally good and like people. I support the Citizens Commission on Human Rights. I support Narconon and Applied Scholastics and The Way To Happiness. These are all L. Ron Hubbard social betterment programs, but that’s not why I support them. I support them because their programs work. The people administering them don’t take “No” for an answer. The people and the groups are effective. DAVID: It’s an artist’s “intention” that the public receives. You can tell an artist’s intention by how the viewer feels after he’s encountered his art. Does he feel good? Does he feel bad? I’m not saying an artist has to be all “sweetness and light.” On the contrary, you want to do whatever it takes to get the person out of the sleep. Does the person come out of it? Does the person, as a result, give something to his friend? Does he tell his mom he loves her after he hears the song? Does he make love to his wife after seeing the movie? That’s the test. If he comes out cranky and perplexed – that didn’t work. Just look at his face. Get artists to make things better and join you. Most artists would want to join Artists For A Better World. AFABW: David, thank you very much!